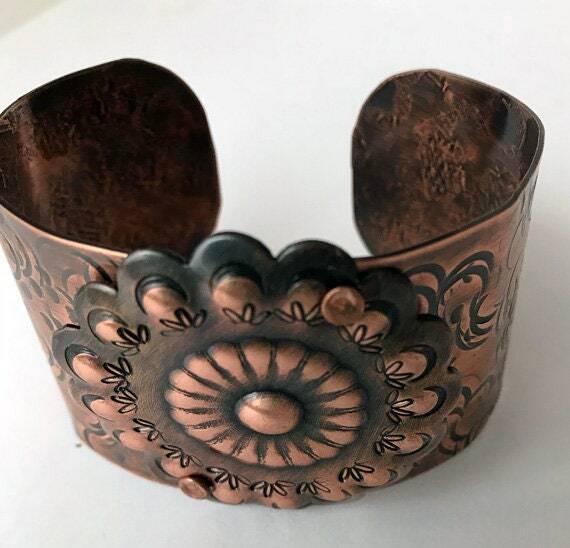 I have textured, hammered, shaped a piece of copper sheeting to create this cuff which is 1 1/2 inches wide. It is 6 inches long which fits a medium wrist. 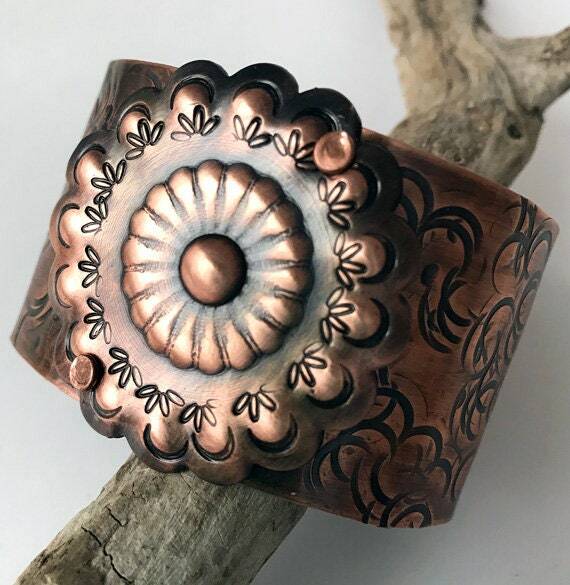 I then created a concho which I have added to this cuff. 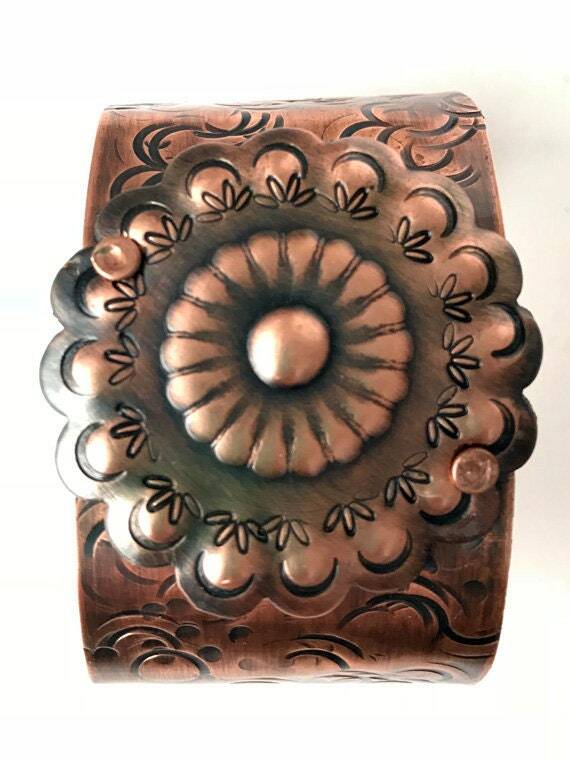 I have given the bracelet an oxidized patina and a protective coating of jewelry lacquer. All sales are final however I want you to be satisified with your purchase. So if you have a question, please ask before purchasing as I try to describe each item as best as possible. If for some reason you are not satisfied, please let me know as I would be willing to handle the situation in a professional manner. Customer service is very important to me. I love to have happy customers and to me this is what a business should be all about. © 2019 The Wired Gingersnap.